Hello my friends, I’m glad to be back today for my last curator post. I hope you have enjoyed my other videos and get a chance to check out all the curator and artist gang members creativity. 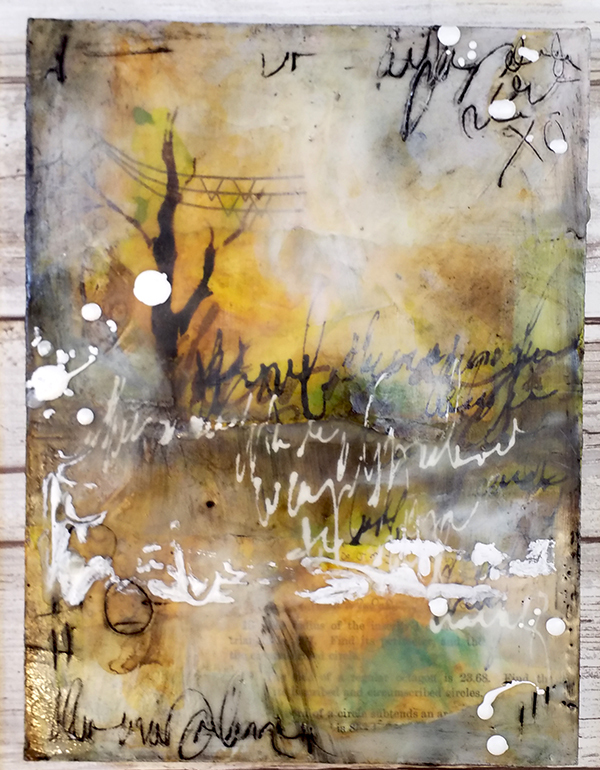 I’m also excited to share with you how easy encaustic can be. 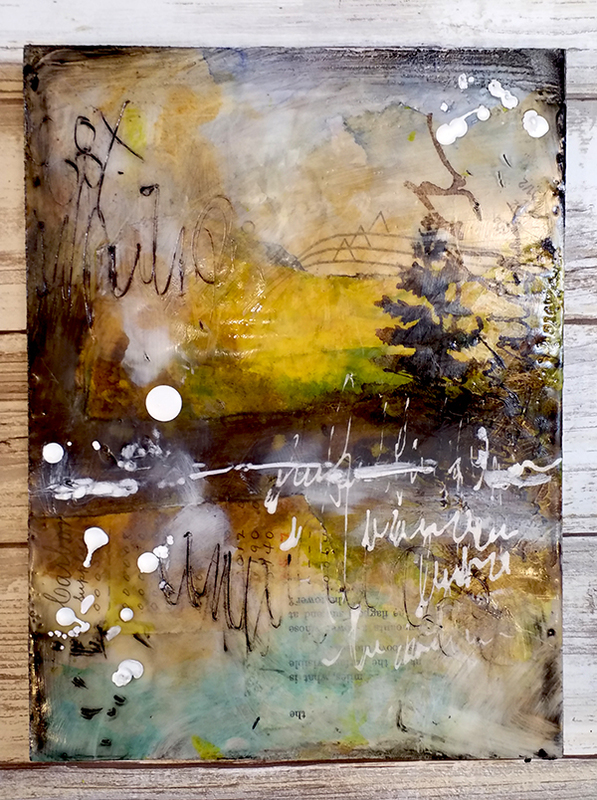 I use just two colors of encaustic, clear and white and then I also use a brush cleaner, and that’s it. You can pick up a hot plate from a second hand store and use empty vegetable cans as your container. Please make sure to have a thermometer (again cheap and easy to pick up) to make sure that the temperature of your medium does NOT GET ABOVE 200 degrees. Work in a well-ventilated area, someplace with a window. 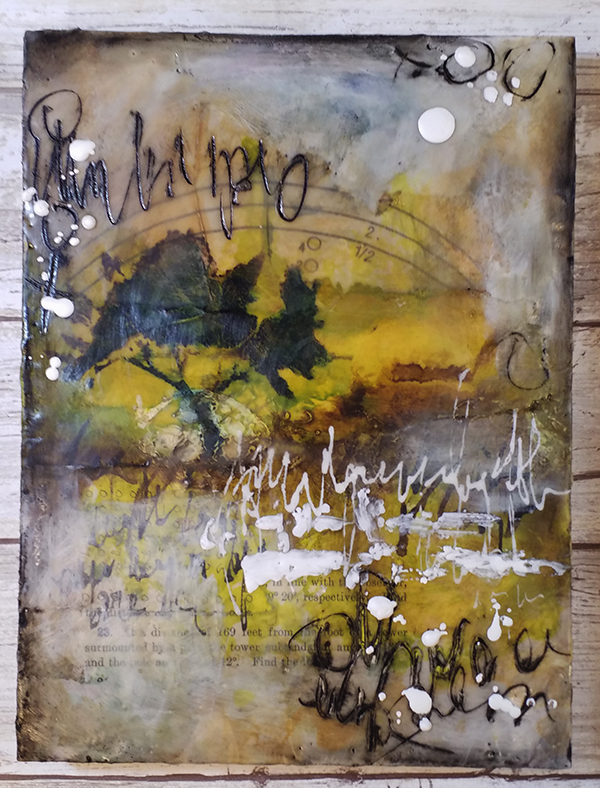 I don’t seal my encaustic work, I have researched and there are many opinions to seal or not to seal. To prepare my work for sale, I clean the edges of drips, and then paint them black along with the back. You could paint the sides whatever color you would like. I hope you enjoy the video and experiment with this fun medium.